Hearing the joyous cheers in the morning hours and the weaning moments of the evening. 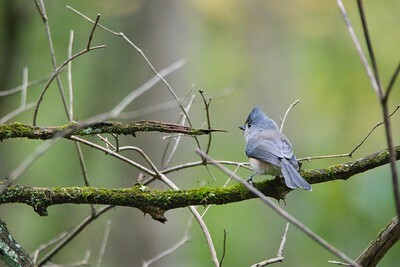 Songbirds are ever pervasive in our backyard and neighborhoods. These birds encapsulate the majority of avian creatures that are seen by birders and maybe non-birders alike. Their small size and quick flight paths really test my mettle and patience. Most of the images here were taken in my backyard with a few seed feeders to attract them. 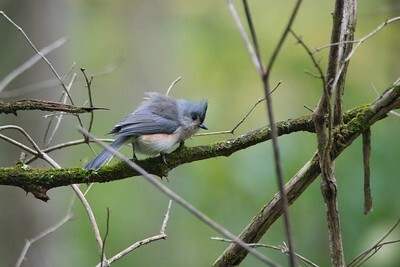 Enjoy this selection of shots from Ohio's avifauna. Beavercreek, Ohio Perched on a Crab Apple (Malus spp.) tree, this is a common visitor to many Ohio backyards during the winter months. © 2018 Ryan L. Taylor Photography. All Rights Reserved. Beavercreek, Ohio Perched on a Crab Apple (Malus spp.) tree. © 2018 Ryan L. Taylor Photography. All Rights Reserved. 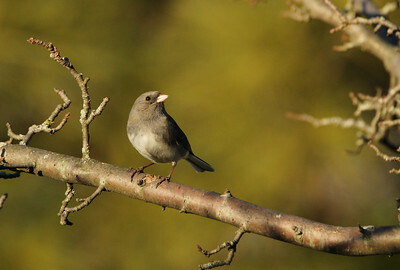 Beavercreek, Ohio A migrant during the winter in Ohio, this Dark Eyed Junco was photographed during the golden hour of the sunset perched on a Crab Apple (Malus spp.) tree. I simply can't get enough of this mustard colored background that compliments the dusty browns and blacks of the Junco and tree. © 2018 Ryan L. Taylor Photography. All Rights Reserved. 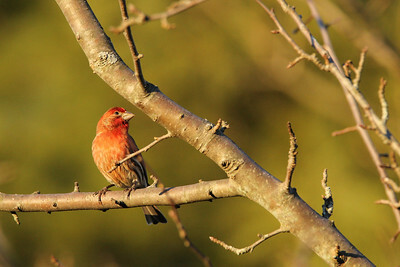 Beavercreek, Ohio This male House Finch was captured perched on a Crab Apple (Malus spp.) tree at dusk. © 2018 Ryan L. Taylor Photography. All Rights Reserved. Beavercreek, Ohio In a dizzying maze of Crab Apple (Malus spp.) 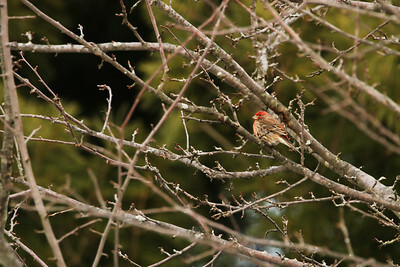 tree branches, this male House Finch stands out with its brick red stripe running up and down its body. © 2018 Ryan L. Taylor Photography. All Rights Reserved. 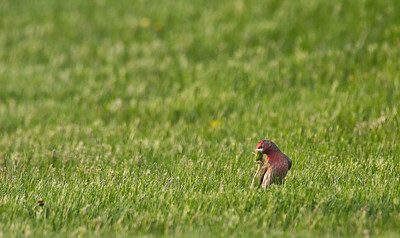 Beavercreek, Ohio This male House Finch is gnawing on a dandelion on a freshly cut grass backyard. © 2018 Ryan L. Taylor Photography. All Rights Reserved. Sweet Arrow Reserve, Sugarcreek Township, Ohio © 2018 Ryan L. Taylor Photography. All Rights Reserved. Beavercreek, Ohio "Take only pictures, kill only time, leave nothing but footprints." March 20 is World Sparrow Day. One cannot doubt the cuteness of these handsome little brown birds. 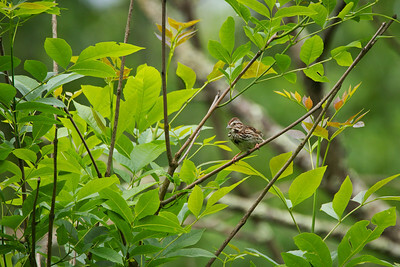 Song Sparrows arrive in the dozens to backyard feeders at the advent of Spring and beyond. In suburban neighborhoods, you may typically see them flitting through dense, low vegetation. However the may move to open ground for food as seen here. 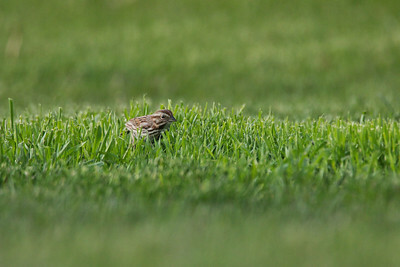 The freshly cut grass helps see this tiny songbirds size. A fairly bulky and hardy sparrow, they will visit residential areas for bird feeders and to build nests. However any open habitat may suffice, such as edges of marshes, forests and overgrown fields. Many species of sparrows seem very friendly and approachable: I've seen them at seed feeders a couple of feet from my house! Nothing seems to fear the little ones. © 2018 Ryan L. Taylor Photography. All Rights Reserved. Sara Lee Arnovitz Nature Preserve, Xenia, Ohio © 2018 Ryan L. Taylor Photography. All Rights Reserved. Indian Mound Reserve, Cedarville, Ohio Perched near Massie Creek. © 2018 Ryan L. Taylor Photography. All Rights Reserved. Bill Yeck Park, Centerville, Ohio “Nature is not tailored to man. It exists for itself.” - John Smelcer Bill Yeck Park for me is a prime example of how a location can be a lot larger than expected. The winding trails take you through dense woods featuring many sycamores amongst others. There are several stone crossings over the Sugar Creek. And in the case with this photo, there is a wide encompassing prairie from which songbirds fly to and from the surrounding woods. Wildlife photography is very much about patience. I stood here observing birds flying to and from this brush on the side of the trail before ever pressing the shutter. 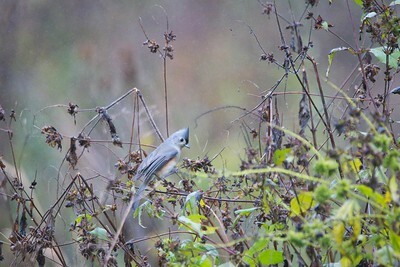 Song Sparrows, Carolina Chickadees, and Tufted Titmice such as this image would flit back and forth to forage. 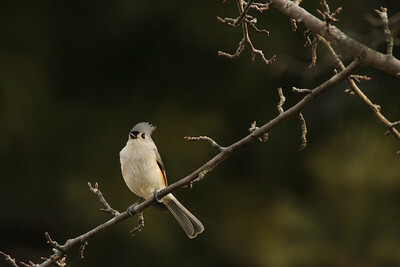 I absolutely love the perspective this image brings: the way the Titmouse is curiously looking down. Then there's the pleasing green background which helps add a nice tinge of color to the earthtone greys and browns of the foreground. Overall, a lovely capture of a fascinating songbird. © 2018 Ryan L. Taylor Photography. All Rights Reserved. Bill Yeck Park, Centerville, Ohio © 2018 Ryan L. Taylor Photography. All Rights Reserved. Spring Lakes Park, Bellbrook, Ohio © 2019 Ryan L. Taylor Photography. All Rights Reserved. Beavercreek, Ohio My backyard is the perfect practice area for bird photography. It is convenient when I can't travel far but wanna take the camera out for a bit. There is ample distance between the house and multiple bird feeders set up on the other side of the yard. In the middle of the feeders is a Crab Apple (Malus spp.) tree from which the Titmouse is perched. A large ceramic bird bath is situated near the tree as well. To top it all off there are three large pine needle spruce trees behind the feeders from which birds can take cover during storms or the occasional hawk. It is a setup I have tweaked over time but works well. There is essentially plenty of area for wildlife to feed and move around. 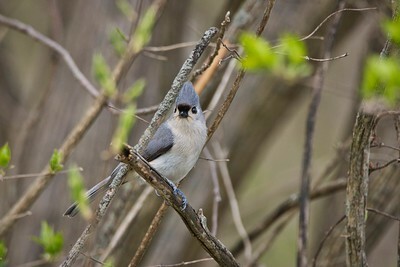 The way this bright and cheery Tufted Titmouse stands out against the dark background makes for a nice use of contrast and emphasis. Naturally the human eye is drawn to the brightest part of a picture. In this case I deliberately made sure the background was dark as can be. Overall a tack sharp bird portrait that is one of my favorites. © 2018 Ryan L. Taylor Photography. All Rights Reserved. 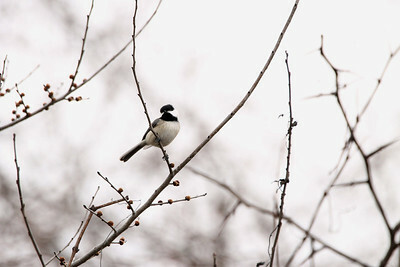 Fairborn Marsh, Fairborn, Ohio “Nature has a way of evening the odds.” - Anthony T. Hincks You've probably heard it at least once, to me a Chickadee's birdsong sounds like laughter. 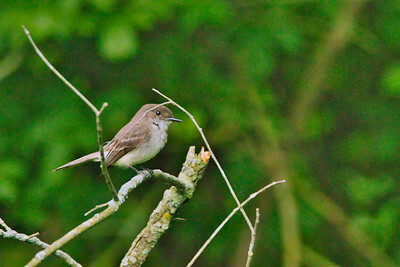 You will probably hear this song all across deciduous and mixed woods and backyard habitats in Ohio. Watch for their interesting behavior at bird feeders. They will fly and perch on the feeder, grab a seed hull, then without hesitation fly to a nearby tree or other perch. Then you may observe them dropping the seed hull between their legs and cracking it open with their beak. There is a lot of force in that little bird's beak! Out near the marsh, I was looking out at the various birds around the area. I had previously got some shots of Red Winged Blackbirds until this Carolina Chickadee flew up real close to my lens. Like most encounters, this was a brief few seconds to react with a shutter press. The highkey background lighting is a nice touch to separate the black crown of the little songbird. Overall a decent bird portrait. © 2018 Ryan L. Taylor Photography. All Rights Reserved. Perched on a Crab Apple (Malus spp.) tree.